Now on to the details. First of all, I was finally able to get my hand on SELEN’s doll stands from A+B Co-op in Hong Kong. 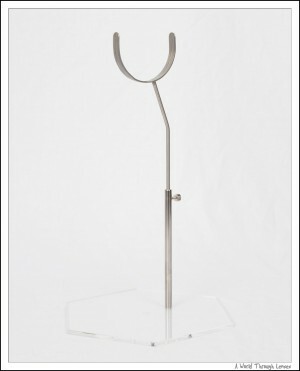 SELEN’s makes a lot of high quality doll stands. 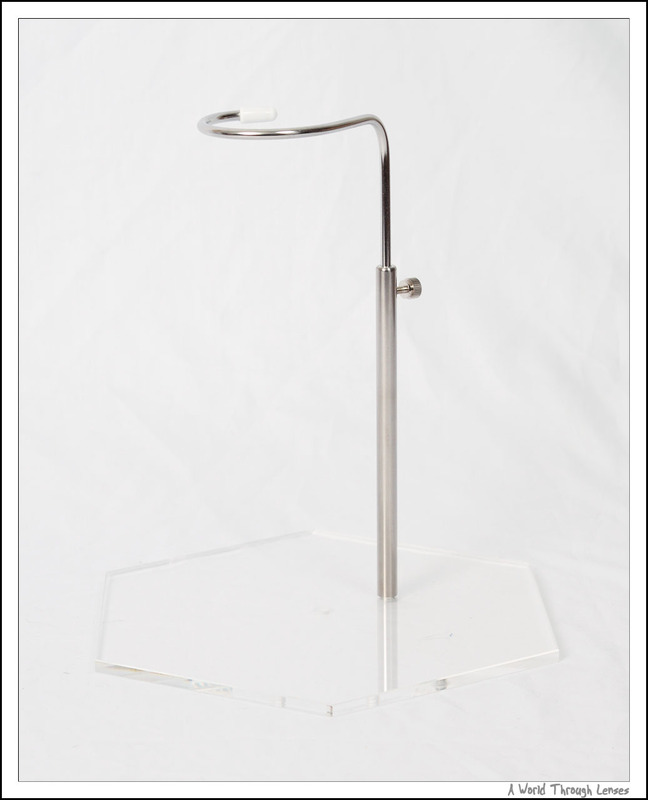 They have different base material such as wood, clear acrylic, and metal. And more specially, their doll stands can have tripod mounting holes so you can mount the doll on a tripod for outdoor photographing purposes. However SELEN’s being a Japanese shop does not ship internationally and they do not take credit cards. To purchase through a deputy costs way too much extra. 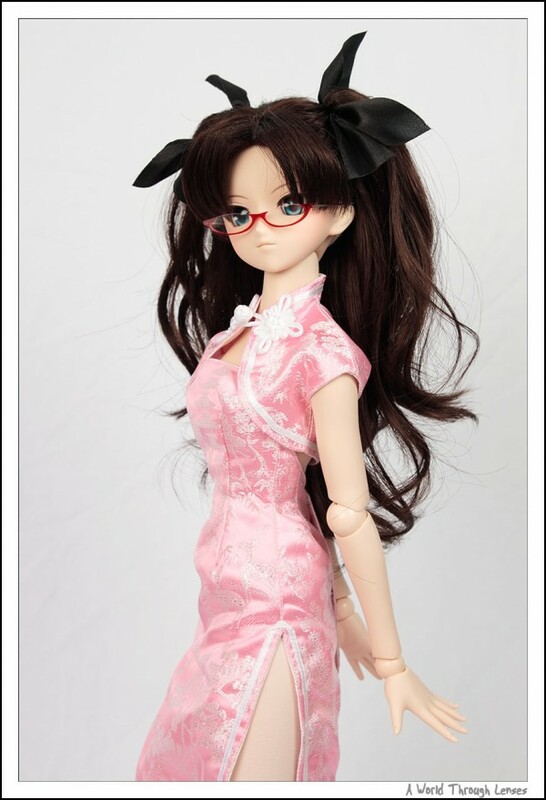 A+B Co-op is official SELEN’s doll stand distributor in Hong Kong, they take PayPal as payment method, and ships internationally. They hold group buys from time to time for SELEN’s doll stands and this time I was finally able to get the doll stands I wanted. So here the doll stands that I got. To the left is the teak coloured wood base doll stand. 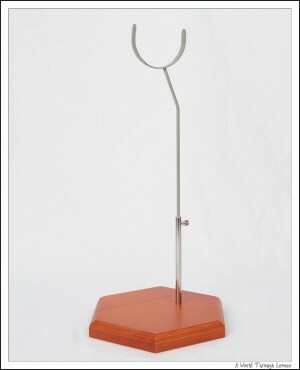 The wood base has that classic doll stand feeling. 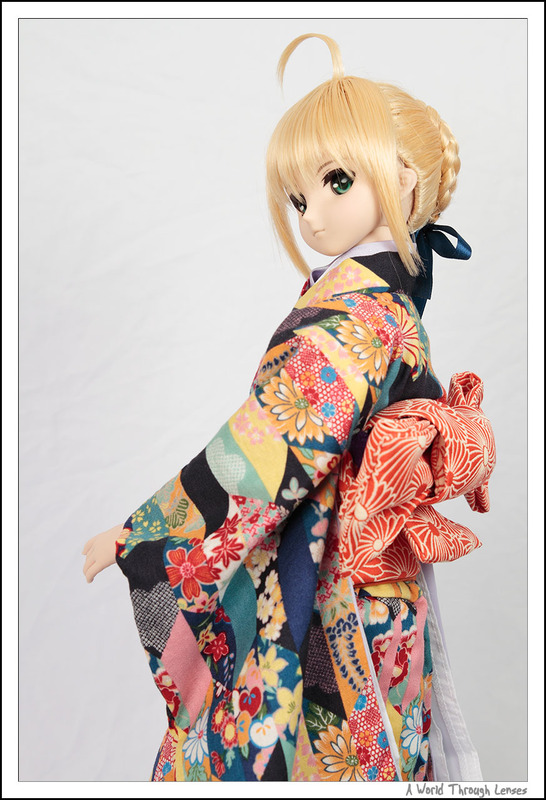 I think it’s good when display dolls with a traditional theme. 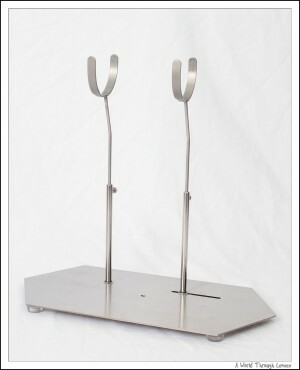 To the right is a stainless steel dual doll stand. 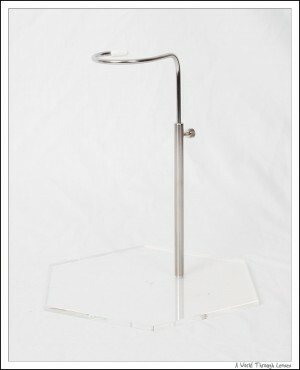 It can be fitted with either saddle support or thigh support. One of the arm can be moved to different distance to the other. This way it can accommodate different poses. Double the support, double the fun. Now I can display two dolls together without juggling with the stands now. I’ve also purchased a few clear acrylic bases. 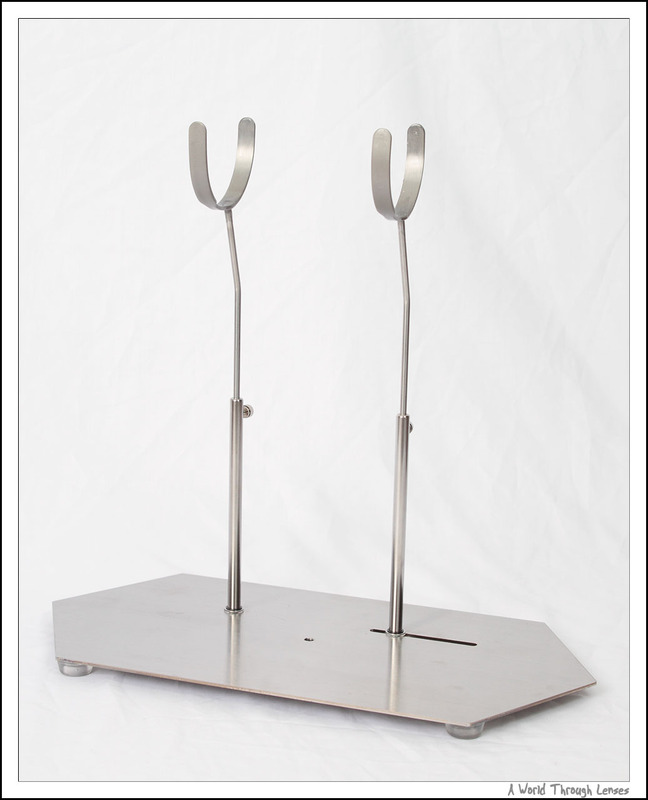 Here’s the acrylic base with saddle support on the left and thigh support on the right. These acrylic bases are clear and I’m hoping to use them in photographing sessions where I want to reduce the amount of presence of the doll stand. Of course they are still visible as you can see here even in front of a white background. But as long as the presence of the doll stand is reduced, it should allow the viewer of the photo to pay more attention to the doll rather than the stand. Saber decided to put on a set of traditional kimono in celebration of the new year. It’s a nice fit with the wood base. The kimono dress set is a very old set made by AZone International. 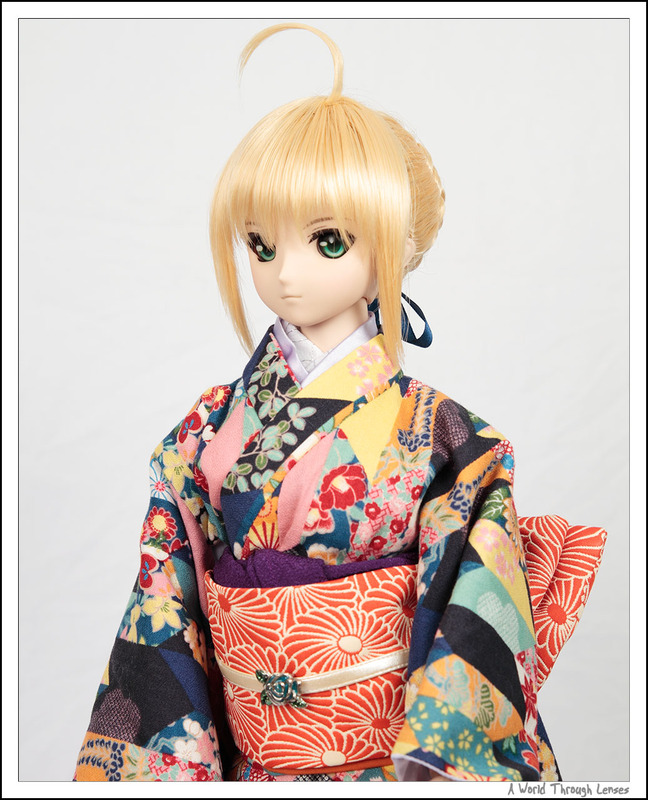 Not to be outdone by Saber, Rin’s wearing traditional clothing as well. A nice pink long china dress made by 工房みみーる. They were selling it during Dolpas but wasn’t able to get a deputy to purchase it. So ended up asking a deputy to make a special order for it. 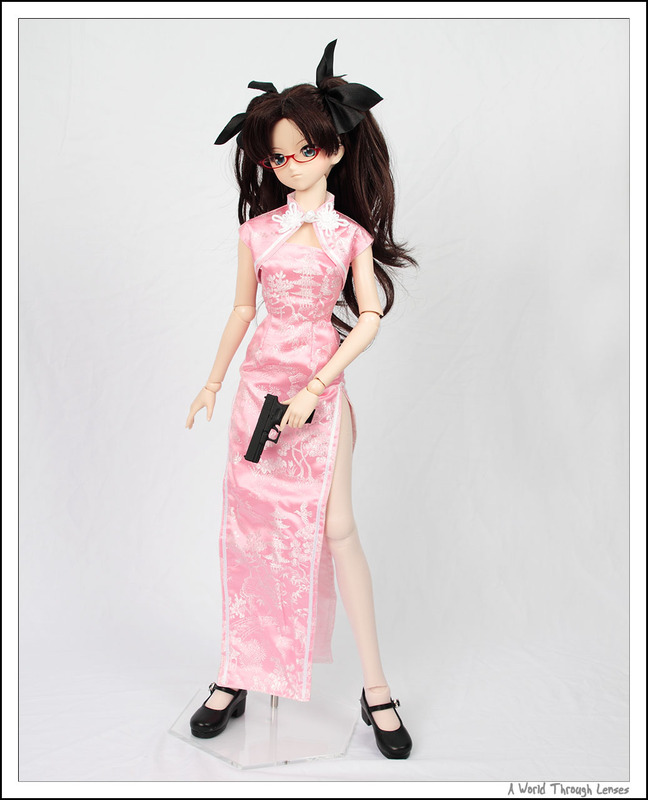 The pistol is from Little Wonder Wardrobe. 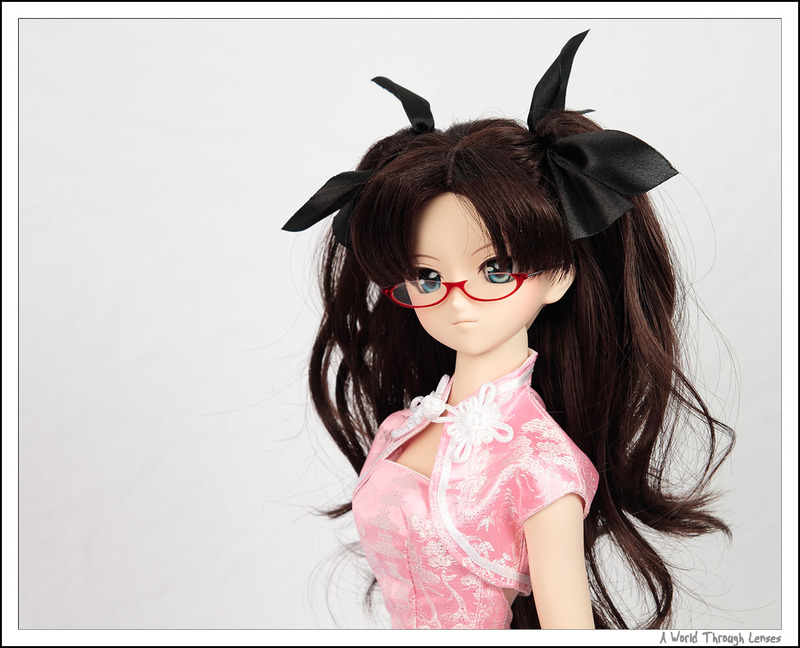 And the eye glasses are from Happy Dolls Plus. The acrylic doll stand worked pretty well, I think. Definitely make the presence of the doll stand much smaller. Now obviously if I punch a hole on my background material and put the doll stand below the background would make it even better, but I want to shoot the doll in may different positions and don’t have enough background to allow me to do that. Acrylic base is the second best choice here. Only problem would be the reflection from my flashes. But that can be controlled relatively well. Rin’s just simply hot in the china dress. Hmmm… I think I’m developing a megane-moe. Now here’s the grand piece of addition for my dolls. It’s Volks’ Two-Seater Sofa E2. 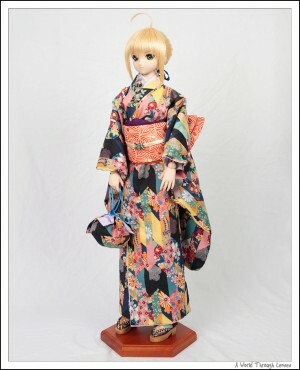 This was sold during Home Town Dolpa Nagoya 4 in Japan, I tried to get my hand on it during the after party events but wasn’t able to. Didn’t want to get that off Yahoo Japan Auction due to its HUGE size and the amount of shipping I will have to pay to have to sent from Japan. 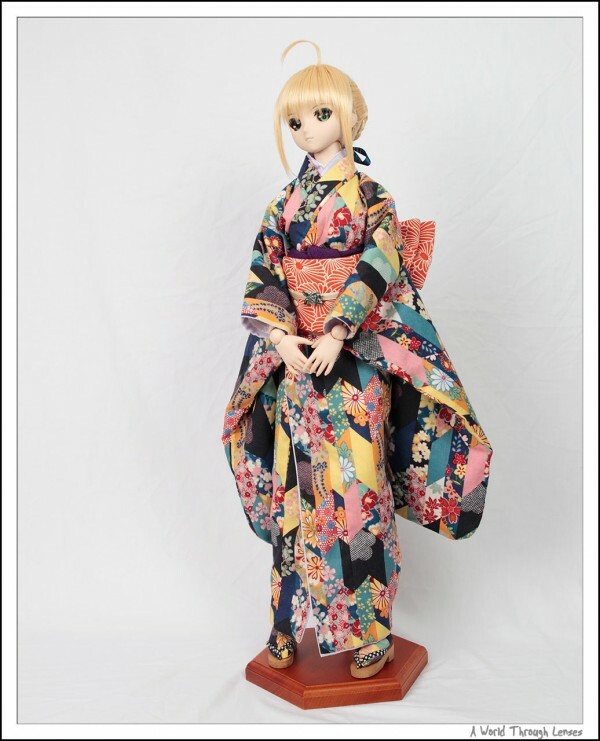 I eventually was able to get it from Volks USA when they are selling Nagoya 4 items. Finally my dolls have somewhere to sit now. Kanu finds the sofa to be really comfortable. 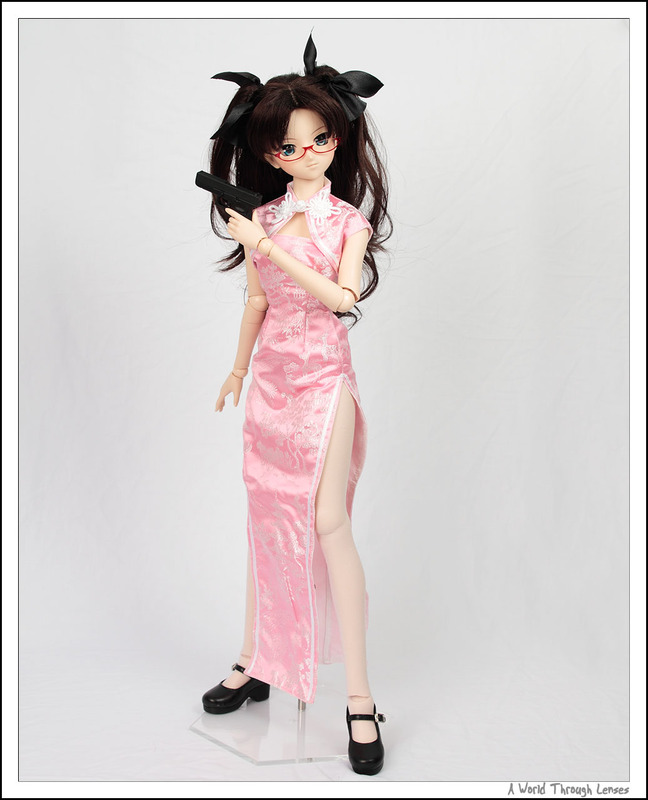 The nice dress set she has on is the Black Skull Cat Dress Set from the SD High Mode Competition. A very nice designed from Volks SD clothing design competition that turned from sketches into an actually dress set for the dolls. Now for the family photo. Having a chair is really nice, finally my dolls have somewhere to hang out. Hi I’m interested to find out how did you managed to get those glasses from Happy Dolls Plus. Is it via auction or proxies? I got it via Japanese purchase proxies. I wasn’t able to find any of the Happy Dolls Plus’ glasses on auction. Do you think any of the saddle stands would support a doll thicker around the middle? I collect Bleuettes which are on compo bodies and are basically French bebes. The person who was making the metal saddle stands retired and I am at a loss. 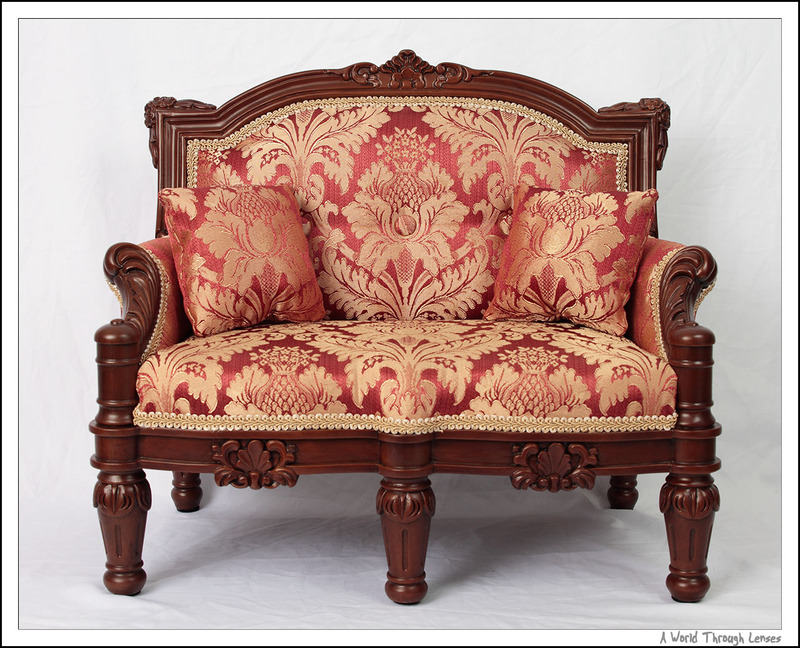 Regular stands ruin the finish on the body, or the line of the clothes. I could measure the height of the support portion of my stands, and the actual depth of the saddle. LOVE the sofa. Wherever did you find it? My girls are drooling! I think it would work, just that it might need a bit bending of the saddle part. I do that even with my DDs because the DDdy is actually a bit thicker in the middle and the saddle stand is not fitting it as well as the normal DDs. If you give me the height and the depth I can take a look and see if it will fit. 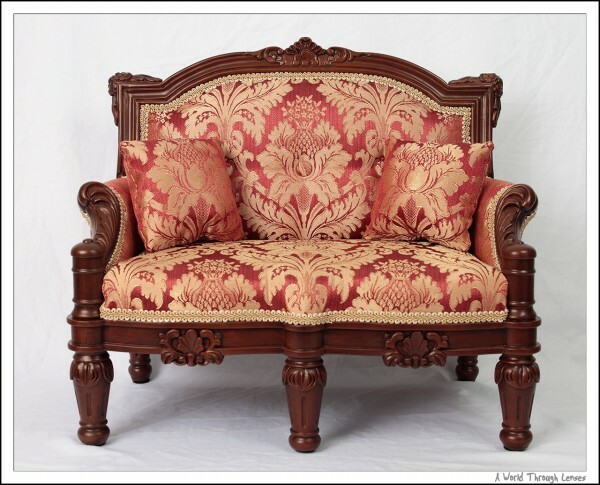 The Sofa is from Volks. I linked it in the article but here it is http://www.volksusa.com/acfuncha008.html. However, by now, I am sure it is no longer available for purchase. Try From Japan (This is my referral link). They do manual orderings like through email. They even can go to physical shops for you to buy thing. Although it might be a bit pricey if it’s a manual order. They are my primary Japanese purchasing proxy right now. Thanks for the referral link, I’ll try it!